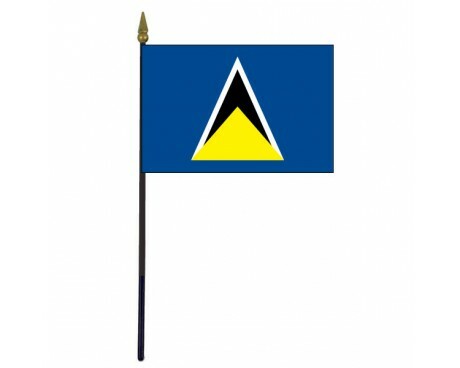 St. Lucia is a young nation, but there have been several St. Lucia flags since the nation first began to work towards independence from the British Empire. The first St. Lucia flag was given to the nation by the British Empire while it was still a colony, and a few subtle elements from that colonial flag have found a place in the modern flag's design. 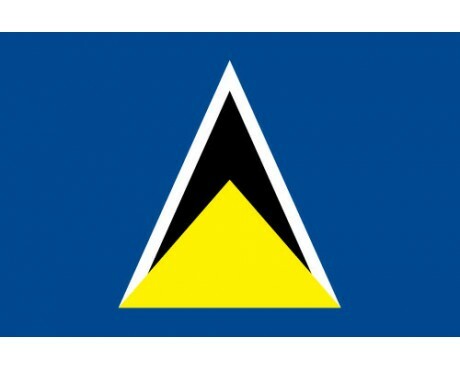 St. Lucia flags have a bright cerulean field that has a pair of triangles in the center. The smaller of the two triangles is gold, while the larger triangle that is behind it is black with a white border. The two triangles represent the Pitons, a pair of volcanic cones that can be found on the island. 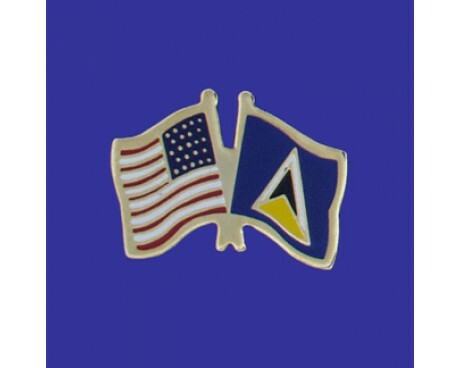 The gold triangle is also a symbol of both wealth and the sun, while the use of a black triangle with a white border is meant to represent the peaceful coexistence of the two races in St. Lucia. The cerulean field that surrounds the triangle is a representation of the sea which surrounds the nation of St. Lucia. 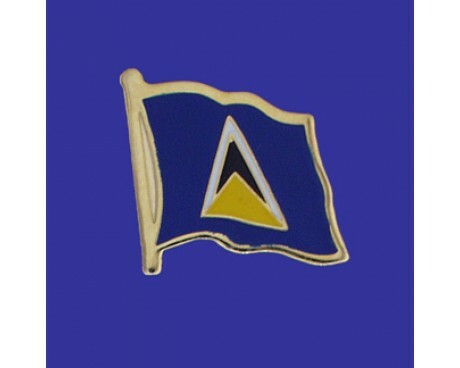 The history of the St. Lucia flag begins with the nation's history as a European colony. St. Lucia spent the majority of its colonial history without any flag at all, but it was granted a coat of arms and a flag of its own in 1939. That flag had a dark blue field and displayed the new coat of arms in the fly along with the Union Jack in the canton. The coat of arms combined symbols of Britain and France to represent the fact that both nations had claimed the island at different points in its history, and it contained the black and gold colors that can be seen on the modern flag. The earliest form of the modern flag came into use in 1967. It features the same colors and shapes as the modern flag, but the proportions and shades that were not the same as those of the current flag. Those features were adjusted in 1979, and they changed once again to create the current flag in 2002.